We are a designer and manufacturer of air filtration and pneumatic conveying equipment providing exceptional quality and service to our customers. With major emphasis on Pulse-Jet filtration technology, we market our products and services throughout North America utilizing a network of specialized manufacturers representatives. 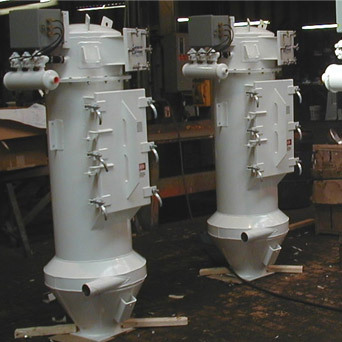 We build and maintain BB and SQ Models, CB and CF Models, UHC Cartridge Models, NW and ND Models, Cyclones and Auxiliary Equipment to meet all of your air filtration needs. Over 90 years of experience has gone into the design of the Ultra Industries collector, offering specific product improvements and incorporating the best product features found in the industry.